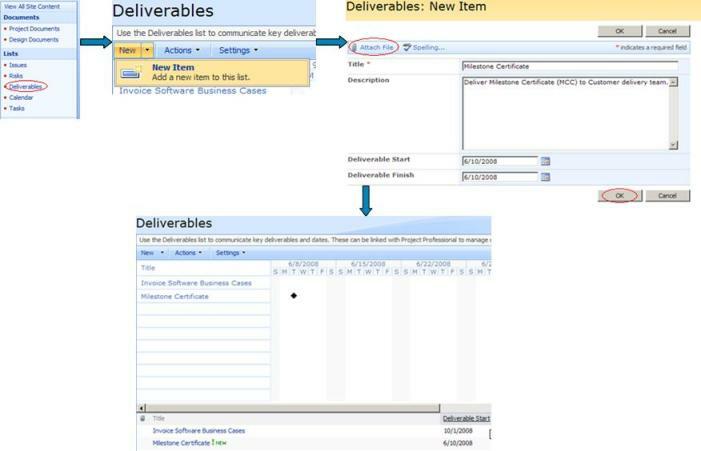 Use the Deliverables list to communicate key Deliverables and dates. Deliverables can be linked with Project Professional to manage dependencies across projects . Please also read Managing Deliverables from MS Project Professional 2007 for more details.